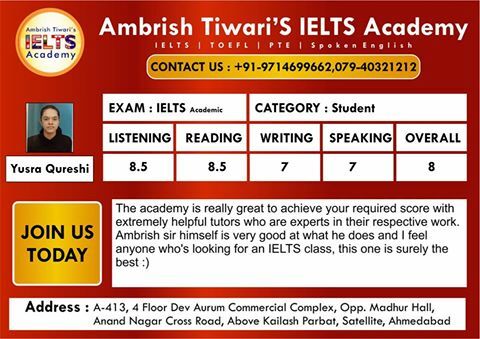 At our IELTS institute, more than 90% students have achieved their desired bands in IELTS exam in the first attempt. IELTS/PTE/ TOEFL Preparation is not just about doing practice, it’s very much a technique oriented ART just like learning English or for that matter any other languages . We have students from Satellite, Prahlad Nagar, Bopal, Shyamal, Nehru Nagar, Jivraj Park and Vastrapur.